The widely discussed US China trade war has reached a new phase with the G20 meeting between Presidents Trump and Xi putting hostilities on hold for 90 days to give the two sides a chance to negotiate their way out of the mire. High profile fallout from the tensions so far including the collapsed Qualcomm (NASDAQ:QCOM) bid to acquire Dutch semiconductor manufacturer NXP (NASDAQ:NXPI) which fell through after Chinese regulators didn’t approve the deal as well as US farmers who have felt the bite of Chinese tariffs on their goods begin to take effect may see some reprieve. To be clear, this is really just a temporary cessation. If nothing changes, the US is still likely to raise tariffs on $200bn of Chinese goods from the current 10% to 25% and indeed would likely extend tariffs to all remaining Chinese imports in relatively short order thereafter (if not at the same time). From the Chinese side, retaliation options are somewhat limited given that it does not import as much from the US as the US does from China (hence the trade imbalance which President Trump hates so much) and all that remains is the further ramping of tariff rates as well as a broadening of affected products, further raising of non-tariff barriers (read regulatory) and of course the nuclear option of further unwinding its US government bond holdings (sitting at $1.15 trillion as of September 2018, 3% down on a year prior). The US (and indeed much of the western world) has been ramping up its outsourcing to China over the last 30 years or so. During this time, China has gone from being a low cost labour centre for the cheap manufacture of relatively uncomplicated items such as fabric and other raw materials to being the 2nd largest economy in the world with a dizzying array of high tech and high value companies. This rise has obviously not been without concern given the historically closed nature of the Chinese economy to western companies trying to sell there, the Chinese bulk purchasing of US government debt (it’s the second largest holder after the Federal Reserve), Chinese capital markets being relatively closed and other concerns over basically forced technology and intellectual property transfer to Chinese firms. 30 years of economic integration doesn’t get unwound overnight and if anyone attempts to do so, the ramifications are going to be severe. We’ve started to see some of these already with businesses on both sides of the equation complaining about the speed at which their livelihoods are being threatened. ZTE (SHE:000063), Qualcomm, Apple (NASDAQ:AAPL), Tesla (NASDAQ:TSLA), Huawei and others too numerous to mention have all felt the pinch in different ways since Trump came to power and said enough with the current model of US – Chinese business relations. At the heart of the problem is the fact that ultimately, some people think China has become a bit too strong for its own good, particularly given the degree of control which it exercises over access to its economy and foreign companies that would wish to sell to its almost 1.4 billion consumers. 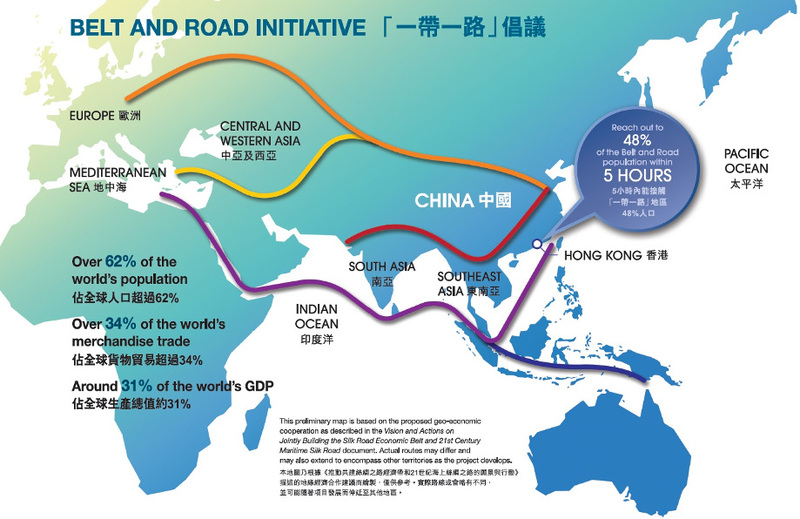 Couple this with its very publicly stated intention to reduce reliance on foreign technology (part of the “Made in China 2025” initiative), its clear plans to make itself the next global centre of trade and economic activity (part of the “Belt and Road Initiative” which will see China invest over $150 billion/year in developing countries) and it’s clear to see that it has big plans. The US has a lot of what’s referred to as “soft power” in addition to its hard power of military might. Soft power is seen as a spreading of influence through culture, values and policies and is entrenched throughout much of the world by what are often seen as American ideals of freedom and democracy. Part of this is reinforced by government policy but a much wider wielding of soft power comes in the form of entertainment products which specifically cater to reinforcing western/American ideals and worldviews. This kind of power doesn’t get undone by military defeats and takes years, decades and generations to unpick. China undoubtedly has military power but finds itself sorely lacking in the soft power arena and the Belt and Road Initiative is one of the prongs it is attempting to use to begin creating some of its own soft power. Infrastructure projects in the developing (and indeed developed) world under the initiative, combined with investment in overseas education see the beginnings of Chinese commitment to soft power which will see it wield influence in countries representing 65% of the world’s population and 40% of its GDP. Given that ratio, it’s clear that China is working to build up developing nations which may represent the global growth engines of the next decades/centuries, building up infrastructure aimed at Chinese commerce as well as cultural understanding to allow it to begin to wield the kinds of soft power seen by the west. There is a question though as to whether China has publicised its plans too quickly and too proudly. The slow burn, long term economic threat to the west is clear. If China is allowed to continue its plans unchecked, technological and intellectual property transfer, coupled with greater cultural links will see the west supplanted as the provider of choice to much of the developing world by China. The western ideals of open markets, competition and free trade have at times been in conflict with the desire and need to protect its industries and although infrequent, the question arises with greater frequency and volume as to whether western corporations seeking greater quarterly earnings have given up too much to Chinese corporations in their search for access to the single largest population in the world. The clock is now ticking. 90 days isn’t a lot of time to tie up the significant open questions which exist between the US and China. Much is being made of the fact that China is being asked to give lots of ground while the only stick/carrot being shown/dangled is a few months of delayed extra tariffs but it’s important to keep in mind that the US has already given ground on the ZTE issue. The US is looking for China to give ground on structural reform around non-tariff barriers, access to markets, technology transfer as well as the trade imbalance and although details are still to be hammered out there is an air of positivity emanating from both sides. 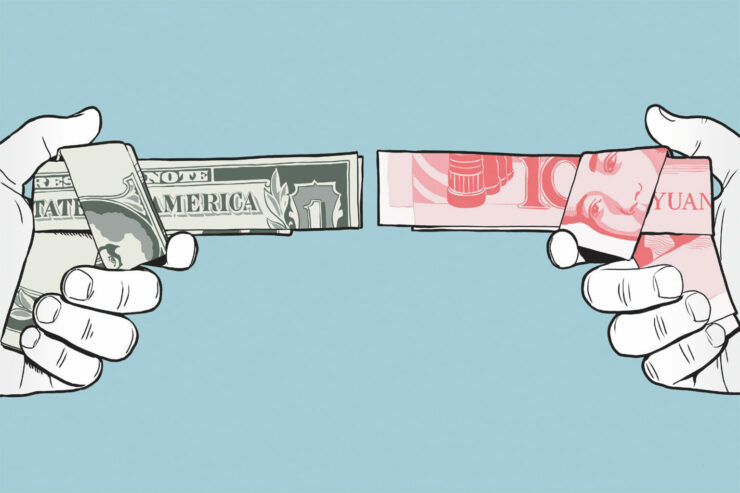 The concern is that China may continue to string things along for as long as it can and nothing will really change but voices in China are starting to get louder questioning whether the Chinese government overplayed its hand when it came to the trade war with the US. For all its advancement, China is still heavily dependent on the US and if they chose to embrace the nuclear option of completely unwinding US treasury bills, it would likely do as much damage to China as it would the US and probably lead to a global economic collapse. In the short term, markets have struggled recently and there is some expectation that this news may be enough to help with an end of year rally in equities, but the gradual shift in investment portfolios from equities to bonds (additionally likely slowed by dovish comments out of Fed Chair Jay Powell recently in the face of harsh criticism from President Trump) seems unlikely to be completely stopped. Equities volumes are already down as the end of year approaches and 2019 looks to be relatively tough trading conditions for stocks. Although President Xi has suggested that China would look at the Qualcomm/NXP deal if it was presented again and that will probably be enough for a bump in the stock prices, markets should be cautious that this in no way guarantees the deal as there are so many other factors at play which may be difficult for the Chinese to swallow. At the moment, it’s simply one of the chips on the table, but there are a lot of other bigger ones. It may be that China throws this onto the pile early as a concession to make it look like its negotiating in good faith or it may use it to prevent further consolidation of technology leadership in US corporations. In the meantime, corporations, investors and consumers continue to suffer the consequences of tariffs and escalated tensions in everything from cars and phones to graphics cards and soybeans.